One of the biggest reasons you may be hesitating to try using an Instant Pot is that you are entirely satisfied with using a Slow Cooker. 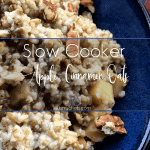 As you have started to explore the benefits of the Instant Pot from my other articles, you may notice that there’s entirely a bit of overlap with the benefits of using a slow cooker. In this article Instant Pot vs Slow Cooker, I would like to show you that while they do have similarities, they are, in fact, different. However, first, let’s talk about how they are similar. Both appliances are good at cooking substantial, inexpensive cuts of meat like pork and beef roasts.Both are great for cooking beans, soups, stews, and chili. Both are also great for busy home cooks: they allow you put everything in, turn it on, and let the food cook itself. No stirring pots and watching the stove required. Also, both are electric appliances that sit on your countertop and plug into an available outlet. They use up approximately the same amount of space. 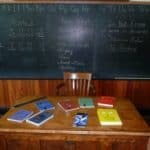 You can move them around as needed – even to family functions or vacations as needed. 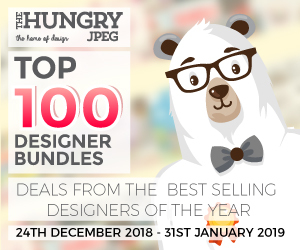 Finally, they even both excel at keeping food piping hot until you are ready to eat. So you are not wrong to appreciate that your slow cooker offers many of the same benefits as the Instant Pot. However, let’s talk about what makes the Instant Pot different and how it can benefit you if you choose to make room for this new appliance in your kitchen. The most significant and most apparent difference between the Instant Pot and the Slow Cooker is cooking time. The slow cooker is designed to prepare your meal low and slow, averaging six to ten hours to cook a meal. The instant pot, on the other hand, will cook most meals in under an hour from start to finish – some in just minutes! Not only does the Instant Pot save you in cooking time, but it also doesn't require you to plan the way your slow cooker does. You do not have to spend your morning before work prepping for dinner. It saves you time and worries in the long run. A fascinating difference, though, is many features available with your Instant Pot. While your Instant Pot is most known for how quickly it can cook a meal, it also offers a slow cook setting. 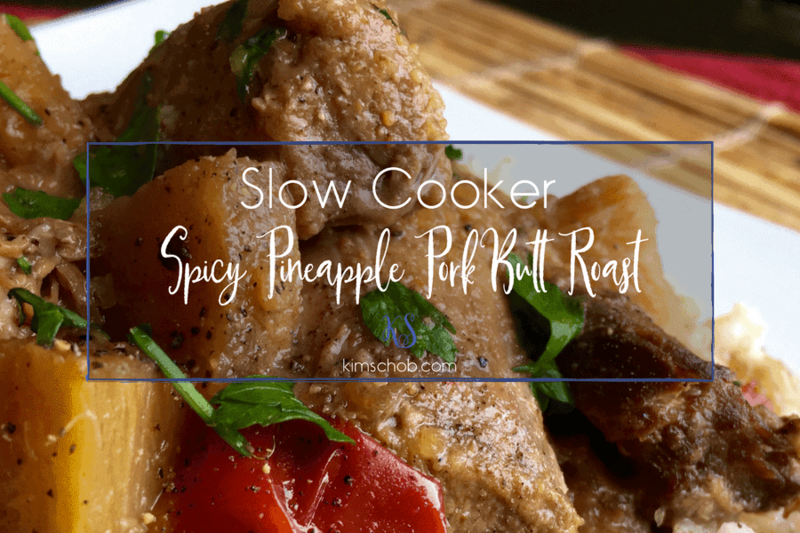 That is right – it will do everything your Slow Cooker can do! The Instant Pot can replace not only your Slow Cooker but your rice cooker as well. Depending on the model you choose, you can even replace your yogurt maker. So this one appliance can save a ton of space in your kitchen! Now, if you are still pretty satisfied with your slow cooker and good about planning long enough to start your dinner in it, you may find that you do not need an Instant Pot. Similarly, if you think the hissing and steaming, or merely the idea of having a pressure cooking device in your kitchen scares you then you may want to do more research before trying an Instant Pot. That being said, with the safety features built in and the easy to use digital display, using an instant pot is just as simple and straightforward as your favorite slow cooker. 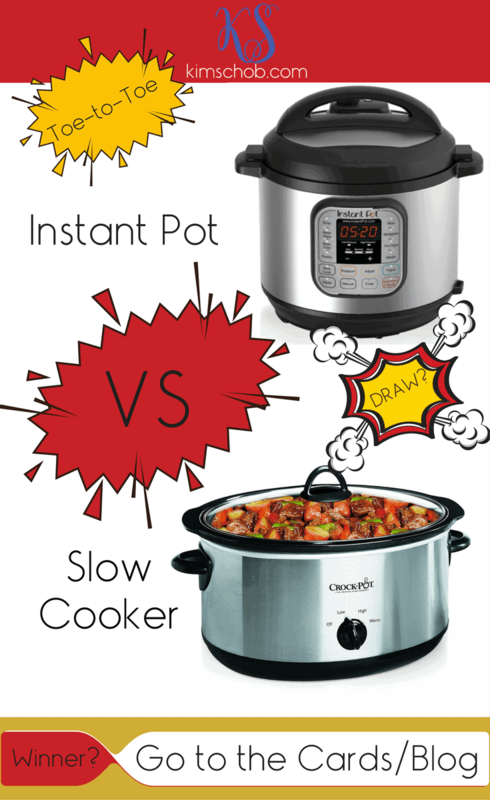 If you are feeling a little intimidated by Instant Pot vs Slow Cooker. I encourage you to get one and give it a try. After preparing your first two or three meals in it, you will be wondering what you were worried about in the first place. 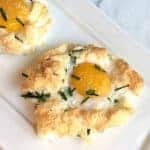 Hey, now don't run off just yet to see if you have all the ingredients for these recipes listed below be sure you have subscribed so you do not miss out on future recipes, blogging tips, lifestyle tips or blog giveaways. Okay now, it is your turn, don’t forget to come back and let me know in the comments how it turned out for you! ShareASale | My favorite affiliate network | Join Now!